Women's tall leggings are a popular article of clothing in the fashion world today. Made of a spandex fabric, they provide a snug, stretchy fit that is comfortable to wear all day. Whether you want an ankle or capri length, these longer length leggings will fit just right. Long leggings are a versatile piece and can be worn in many ways. One trendy style is to wear a pair under a lengthy, oversized tunic, sweater, or t-shirt. They can, also, be paired with a mini skirt, short dress, or short shorts for another chic look. Outside of the fashion world, tall tights have always been a staple in the gym. Whether you're walking, running, jumping, or lifting weights, leggings will keep you dry and comfortable throughout your entire workout. When it comes to colors, black, gray, and navy are the most common, but they can also be found in a variety of other shades to match your chosen look of the day. Long Tall Sally ($$) is a tall specialty store with many different options for leggings, from casual styles to fancier styles (velvet and leather, for example) to active styles. Most of them come in a 34" inseam. 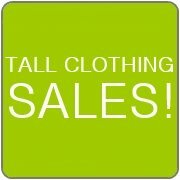 This is a great place for all your tall clothing needs. Free shipping on any order $30 or more! Athleta ($$) is the perfect place to start if you're looking for tall athletic tights. They always have a huge assortment to choose from. Their leggings are made from special fabrics that are meant specifically for workouts and other exercise activity. You'll even find a few options that will keep you warm in really cold weather. With lots of different colors and prints, I think you'll be impressed. Plus, get free shipping on a $50 order and free returns. 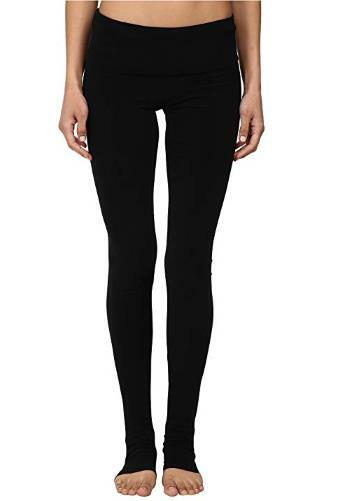 Alloy Apparel ($) has a variety of tall leggings that will interest you and at reasonable prices. With 35" and 37" inseams, they are some of the longest lengths tights you'll find out there. Free shipping on purchases over $100. Old Navy ($) is a good place to find both casual and active leggings at inexpensive prices. They offer a variety of colors and patterns in tall sizes. Check back every now and then because Old Navy often has clothing sales. Plus, you get free shipping on $50 orders and free returns at any of their many retail locations. Soft Surroundings ($$) is known for their soft, comfortable fabrics. They have a nice selection of tall leggings. The lengths aren't quite as long as some of the other shops on this list, but if you're 6'0" or under, they should work just fine. Soft Surroundings Outlet ($) offers sale prices on clothes from Soft Surroundings (see above). Because of the discounts, limited sizes are available, but if you find something in stock in your size, you'll get a great deal. Simply Tall ($$) carries a small selection of leggings made specifically for tall women. They come in an extra long 37" inseam. Metrostyle ($) offers a small selection of tall size leggings at inexpensive prices. Top Shop ($$) is a trendy clothing store that's based in the U.K. (they can ship to the U.S. and other countries, though). They have a collection of tall leggings that's worth a look.